Healthcare.gov "tech surge": Is Microsoft helping fix the website? Is Microsoft Helping With the Healthcare.gov “Tech Surge”? 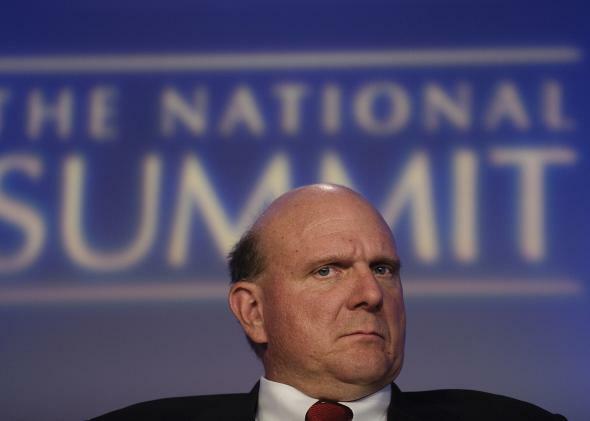 Steve Ballmer, call your office! That’s what Rep. Darrell Issa wants to know. As chairman of the House Oversight Committee, he’s committed to browbeating the Obama administration over Benghazi and the IRS/Tea Party kerfuffel. Now he’s turning his attention to the failure of healthcare.gov and the “tech surge” President Obama has promised to make the site functional. On Tuesday, Issa sent the following letter to Microsoft CEO Steve Ballmer “to help shed light on whether or not Microsoft Corporation is indeed one of the ‘tech companies’ to which President Obama alluded in his remarks and other concerns”. Similar letters were also sent to Google, Verizon, Oracle, and Expedia. Which raises the question: Expedia? 1. Please indicate in writing whether the administration or any entity working on the HealthCare.gov project has been in contact with your company regarding technical problems related to the implementation of the Affordable Care Act since October 1, 2013. If so, please describe the nature of these contacts and a specific description of any and all problems brought to your attention. 2. Please provide all documents and communications referring or relating to any contact that you or any employee of your company has had with CMS, HHS, the Office of Management and Budget, or the Executive Office of the President between October 1, 2013, and the present referring or relating to HealthCare.gov or the implementation of the Affordable Care Act. 3. Please provide all documents and communications referring or relating to any contact that you or any employee of your company has had with any company contracted to work on HealthCare.gov or the implementation of the Affordable Care Act between October 1, 2013, and the present referring or relating to HealthCare.gov or the implementation of the Affordable Care Act.